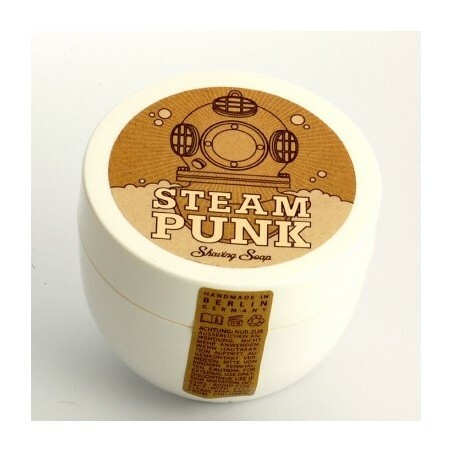 Tabula Rasa Steampunk Soft Shaving Soap 90g. Tabula Rasa shaving soaps are handmade with 100% natural ingredients. Enriched with mango butter, Arganoil, shea butter and barley extract. It contains a lot of linoleic acid, used to soothe the itching and irritation. 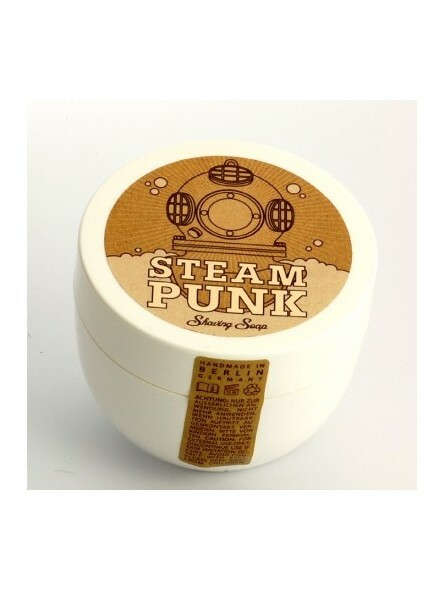 STEAMPUNK fragrance is described as; “a trip for the nose on board the Nautilus, 20,000 Leagues Under the Sea”. Lime, Violet, Elemi, cedar, musk. A clean and different fragrance. Specially formulated to be used with a shaving brush. It generates rich and thick leather which helps blade sliding. Its high content of active ingredients of natural origin maintains balance and hydration of the skin. Especially suitable for men with sensitive skin - Enriched with mango butter, Arganoil, shea butter and barley extract. Developed for men who do not want to miss the wet shaving despite a delicate facial skin. It would not compromise on the quality of their wet shaving.